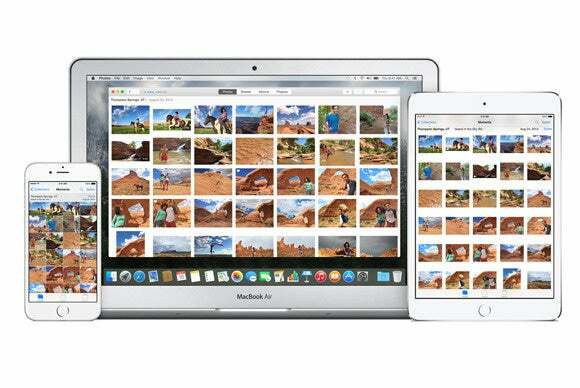 iCloud Photo Library can be very handy for accessing your photos. But it's another service you need to tend to if you decide to sell or give an iOS device to someone else. Macworld reader Felipe has found this our. He bought an iPhone from a friend, who left himself logged in before handing the phone over. iCloud Photo Library was on and I have synced some personal photos that I want to delete from his iCloud. I turned off iCloud Photo Library and My Photo Stream. Did that delete all the photos that were in the iPhone from his iCloud account? What Felipe did left his new photos in his friend’s library in place. Turning off iCloud Photo Library from one device, so long as it remains turned on with any other, keeps all photos in place at iCloud. You have an option to delete them or retain on the device you’re using. The way to remove photos from iCloud Photo Library is to delete them and then confirm when you’re told that the image will be deleted from all synced devices. It’s a terrible idea to sell (or buy) a phone that hasn’t been wiped through Settings > General > Reset > Erase All Contents and Settings. Any apps purchased or downloaded from the App Store that remain on the phone are registered to the previous owner, which means that even if this was an effort to get some apps for free, you’re going to be notified about them on a regular basis and asked for the previous owner’s login. And you can wind up with media and settings detritus—as well as accidentally upload your personal photos to someone else’s iCloud Photo Library.